Gary, I have found a remarkable opportunity in Cotacachi: two brand new condos of 692 square feet and 902 square feet with a deeply discounted price of $49.950 and $59.950, respectively. This is special developer pricing and valid for a limited time. 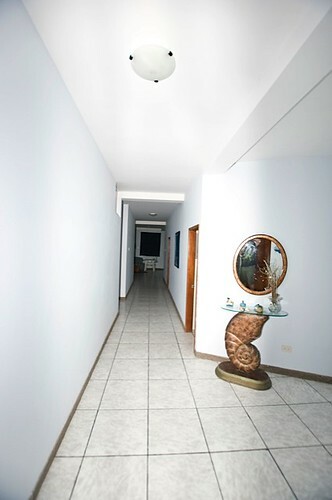 The condos have extraordinary light, and enjoy great views and a remarkable location, in the heart of Cotacachi, just steps away from galleries, restaurants, parks and stores. The developer is starting a new project and is willing to part with these condos at a special price. These are the last 3 remaining condos in the 4-story building. They are located in the 3rd and 4th floor. 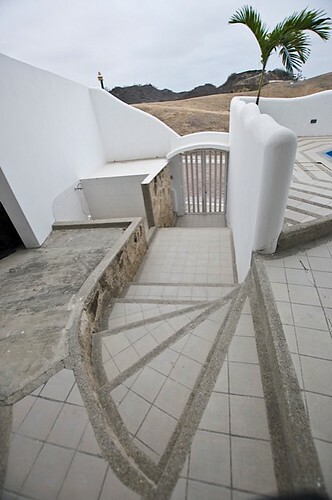 The building has a beautiful terrace where 360-views of the city and mountains can be appreciated. Property taxes are less than $100 per year and HOA fees less than $20 per month. We are going through a buyer’s market here and great opportunities can be found and negotiated. This is one of them. 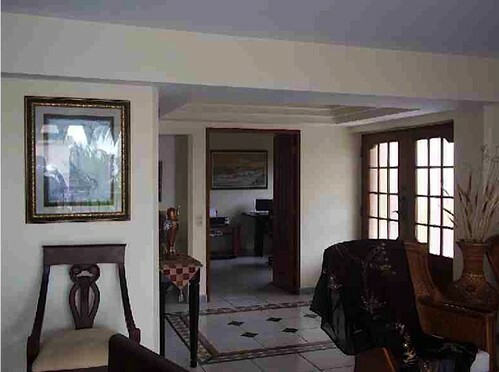 See details on this condo in Quito Ecuador for sale. Remarkable Quito location and outstanding view. 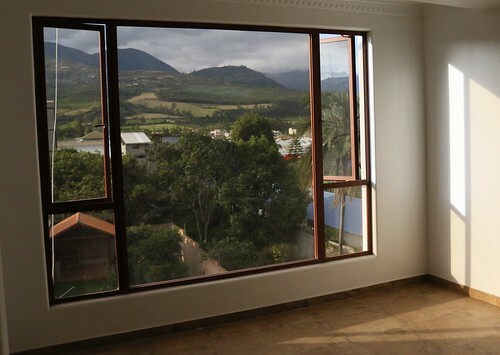 Remarkable price for a Quito condo. 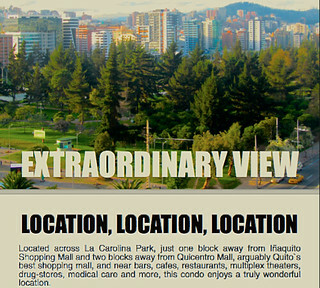 Click on image of view from this Quito condo to enlarge. 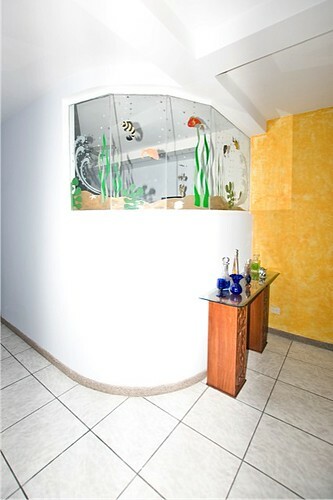 Here is an advertisement for a Manta condo for sale. 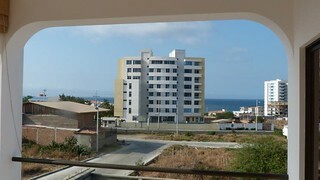 Front view of NEREA building in with ocean view Manta, Ecuador. New 1Bedroom / 1 Bathroom Condo. “NEREA” is voted best new building in Manta: location, quality of design and construction. Front view with unit on 3rd floor. This 3rd floor unit is 2 blocks away from the Pacific Ocean- watch the beautiful sunset from your balcony! Kitchen with built in hood, gas stove, and oven. Beautiful cabinets and tiles. 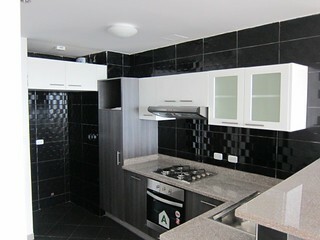 Unit comes with a beautiful kitchen with built in hood, gas stove and oven. There are 2A/C units (12000 BTU- Electrolux): one in the Bedroom, other in living room. Kitchen bar. Doors to bathroom and bedroom. 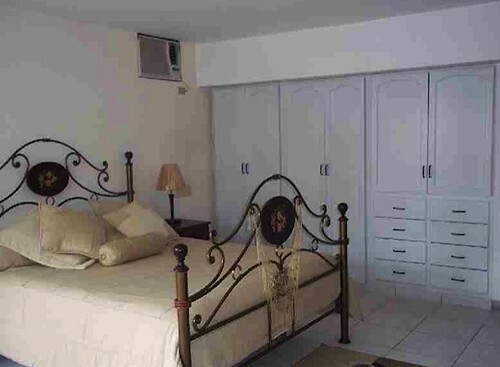 Bedroom contains two beautiful large wooden closets. Bathroom has shower sliding doors and beautiful sink. 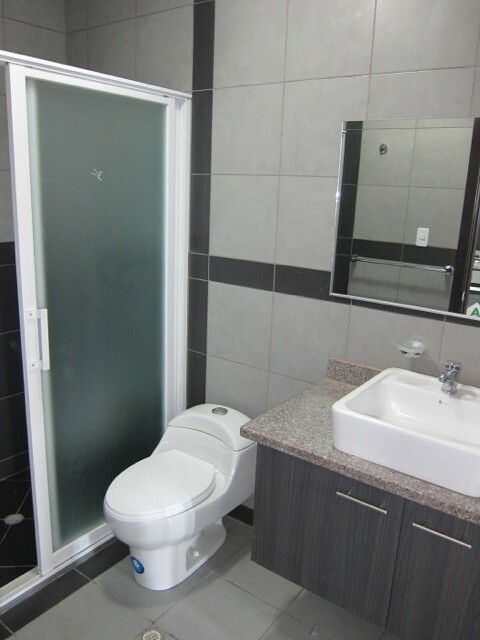 Ceramic tiles line the bathroom walls, kitchen, as well as throughout the unit. Stunning light fixtures included. Electric water heater is provided as well as underground parking and separate storage room. 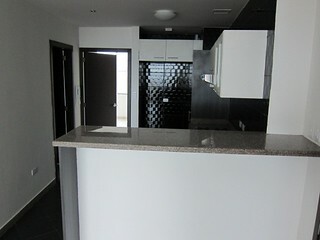 Included also is a shared washing machine and dryer for 1 BR unit owners only. Security guard on site 24 hours for your protection. Relax in the beautiful outside pool area or venture to the boardwalk (“Malecon”) and downtown Manta. Low HOA fees! Swimming pool with whirlpool and sauna. 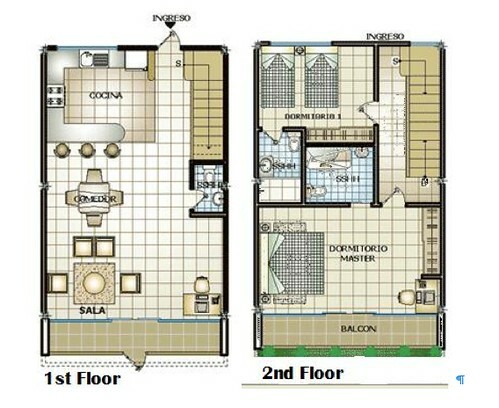 Total square footage including parking and storage :86.43 m2 (930 Sq ft. ). This makes a great rental opportunity as the unit will be sold only with a registered Manta realty company. Asking price $79 K, including company. Payment can be arranged to US bank. 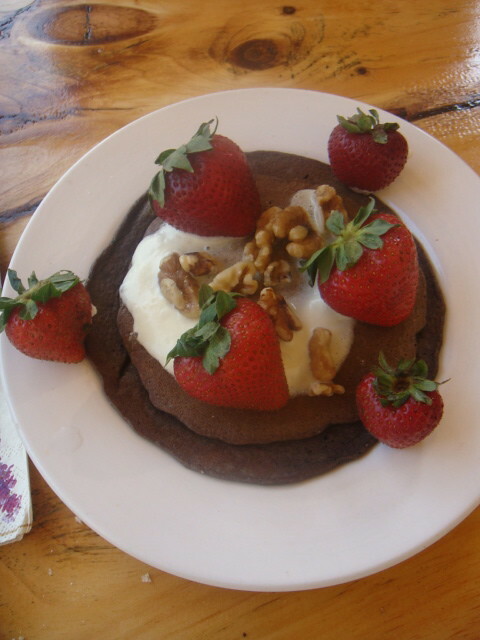 Act quickly, this one won’t last long!! 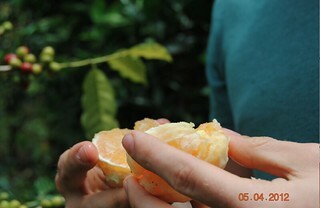 Learn about Ecuador beach real estate and small Ecuador farms for income on an Ecuador farm and real estate tour. 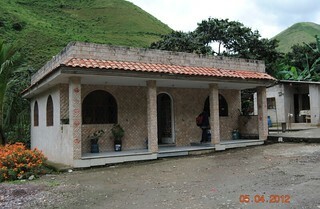 Here is a Manta Ecuador Good Value Condo. 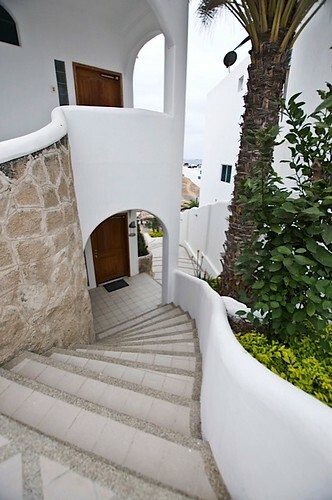 Owning real estate abroad is one way to diversify for safety and to preserve purchasing power. 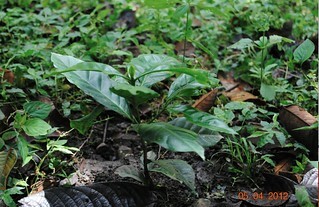 Ecuador real estate is in the second phase of a growth curve. When Merri and I arrived over 15 years ago and began researching and buying real estate the prices were so low and value so high it was almost unbelievable. We saw fully developed beach lots for $2,500… 12 acres on the beach for $18,000… coastal condos for under $20,000. 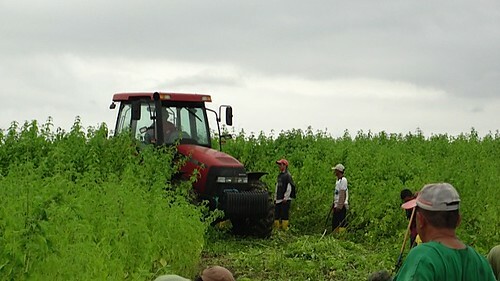 We bought wonderful land at below $100 an acre… then. 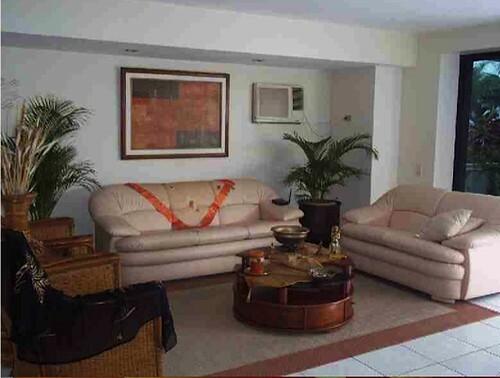 In this second phase, prices have risen but there are still bargains of extreme value like this condo in Manta. 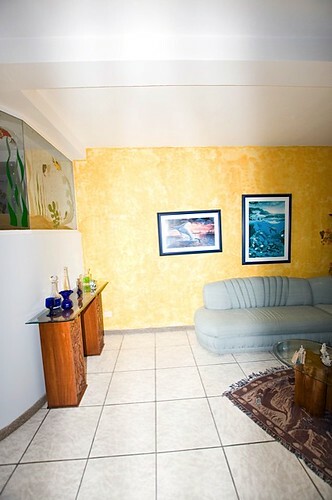 This is a spacious apartment with a large terrace overlooking Manta. 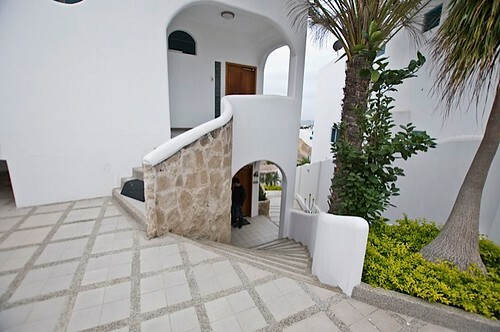 This unit is 30 meters ( 33 yards) from Playa Murcielago in the best part of section Umiña. This is a jewel with 4 bedrooms and 4 baths, (1 with Jacuzzi). One of the bedrooms even has a private porch on the side. 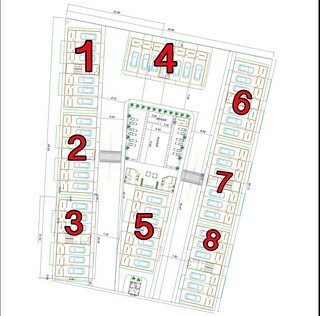 The total living area is 280 m2 (appx. 3,000 square feet) plus a two car garage and storage, with a total over 300 m2. There are two entrances to the apartment. 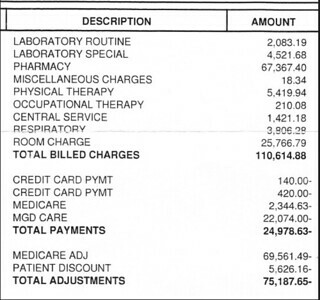 The condo has five apartments total. 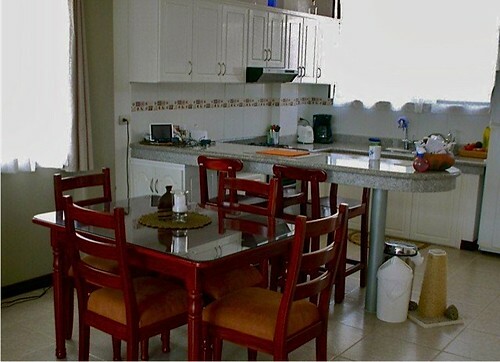 The entrance has electric gates and 24 hour live security plus the apartment is very well maintained. The asking price of $175,000 works out at $ 580 per m2 or less than $55 per square foot. 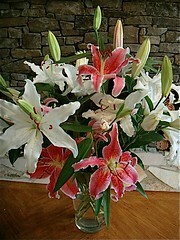 This is the last day to order Ecuador Lilies for Easter. 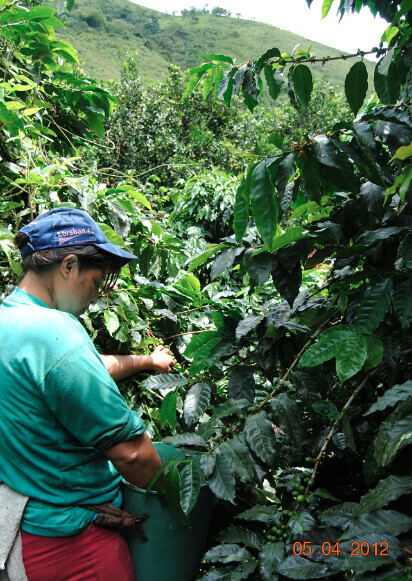 Learn about Agricultural real estate tours on the coast. 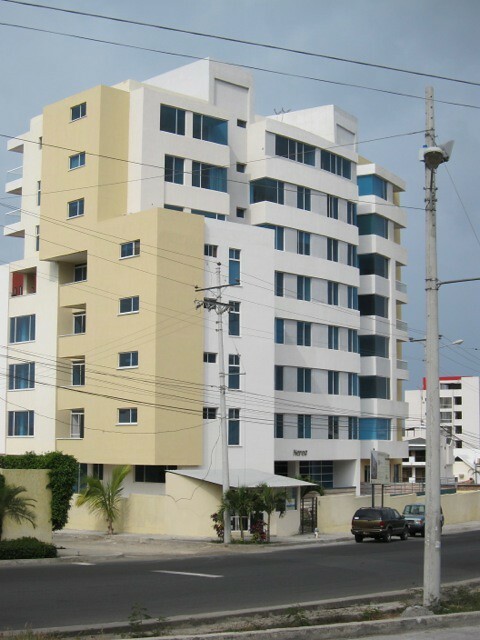 I have spotted an interesting Ecuador expat real estate trend that is putting more very nice Ecuador beach condos on the market. Merri and I have made fortunes over the years by spotting value in real estate. A recent message at this site shows how Ecuador beach condos are often a tenth the price of Miami even though Miami condos are often half the price of condos in Columbia and Brazil! 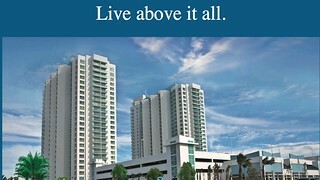 Ecuador coastal condos offer extreme value. There are a growing group of our readers… and I suspect expats overall who followed us to Ecuador early on. They bought a condo… moved in… have grown t0 know the area and want to expand. They love Ecuador and have decided to have a their own house. This appears to be the case around San Clemente where a number of the Vistazul condo owners are now reselling their units and building larger homes. 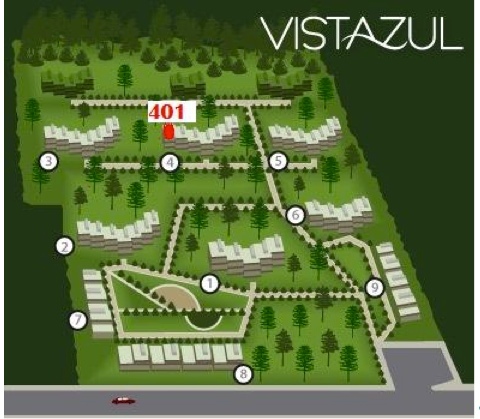 This shift to growth means that two condos in the Vistazul condo project are for sale. I have suggested that the owners share the ad below. All the current 38 Vistazul units have the same floor plan with 1,290 square feet of living area on the first and second floors plus an additional 645 square feet of roof terrace. The roof terrace has a 3 foot railing around it and many residents cover their terrace with an inexpensive ‘ramada’ (thatched roof which keeps off the sun under so they can sit, eat, or sleep outdoors). 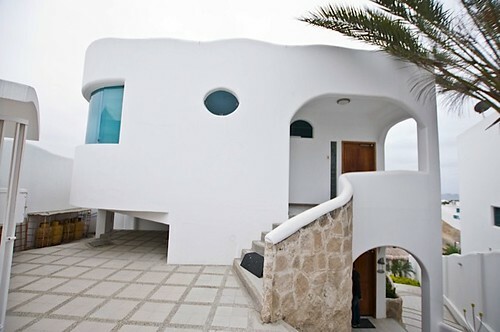 This is the only unit in Vistazul where the owner has installed solar film on all the East-West windows. Solar film blocks 97% of UV rays and solar heat from pouring in through the windows before noon and after 3 pm, thereby reducing your air conditioning needs and electric bill. 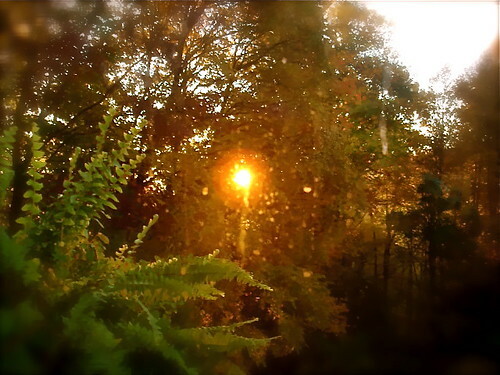 It also makes all the colors brighter when you look out your windows. 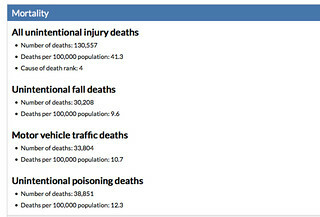 (The blues are bluer, the greens, greener; etc.) In addition, the owner has installed drapes on all the windows to block out the early morning and mid-afternoon sun. If you want to either rent or live in the unit yourself, the only ‘necessity’ you probably would want to buy would be a downstairs living room set (couch, chairs, and coffee table), television, and arrange for Direct TV service. The unit receives four or five bars on the Vistazul Internet. Currently a number of owners have bought their units to rent and are enjoying a high return. Vistazul has an Administrator who will rent and manage your unit if you so desire. For more information please contact Roger at rosenwalds@hotmail.com. Thank you for your interest. 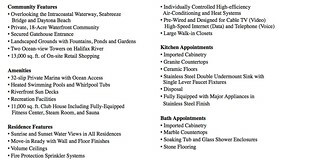 Unit 501 shares the same features as the unit above, plus the owners, Larry and Shirley Humphrey, added the following improvements. 1) Built a nice patio and garage for motorcycle and storage plus added storage under stairs. 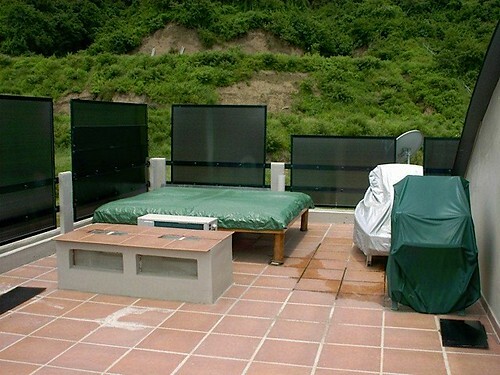 5) Installed privacy screens on the terrace. 6) Installed an oven in the kitchen. 7) Installed two air conditioners 18000 BTU in master bedroom and a 12000 BTU in the living area. Vistazul is where Merri and I purchased our condos and continue to maintain a penthouse at the Palmazul boutique hotel which is the Vistazul clubhouse as well. 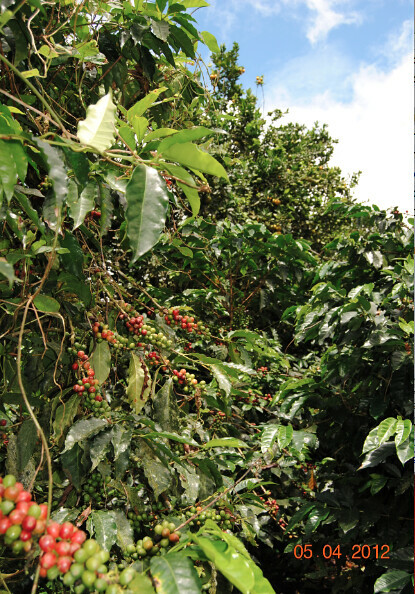 Here is an Ecuador coastal value. #1: To fulfill your purpose. #2: To invest in what you know. 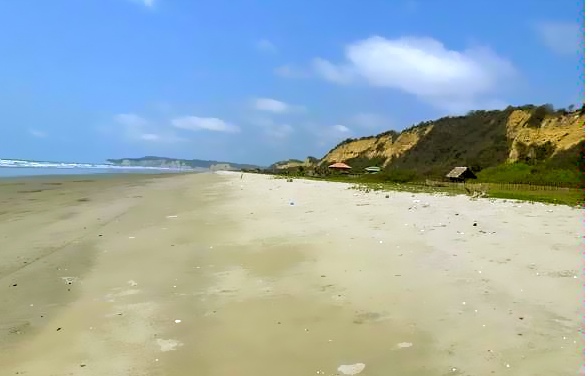 This is why we encourage investors to look at Ecuador coastal real estate. 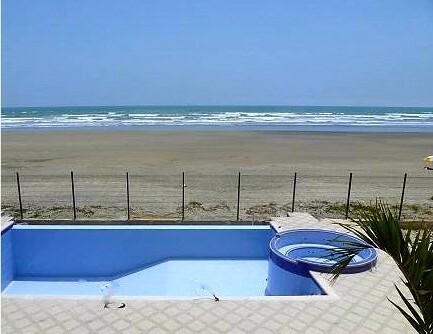 Despite rising prices and inflation, Ecuador coastal real estate still offers one of the best beach values of anywhere. 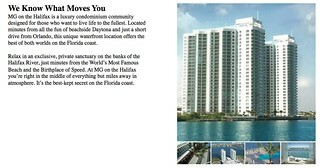 The Ecuador coastal condos below are priced so well, I asked twice… to be sure I was not making a mistake. 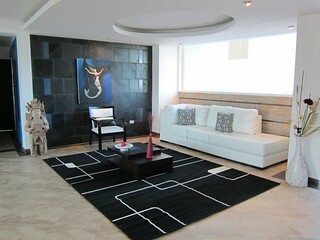 This Ecuador coastal condo is large. Actually it is two five bedroom condos each over 2,500 square feet. Before we take a look at this condo here is a short reminder that Easter is near and fresh Ecuador lilies are available. 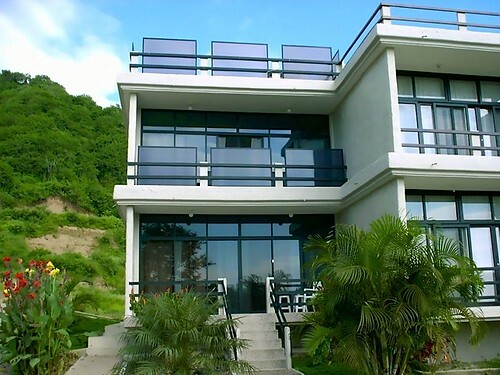 This Ecuador coastal condo below is for sale… has great views and offers stunning value. The March 1, 2012 Bloomberg Business news article entitled “Foreign Buyers Heat Up Miami’s Condo Market” by Roben Farzad shows why Ecuador beach property represents such a bargain when it says: In 2008 and 2009, with prices and the economy tanking, Miami’s new high-rises ended up with so many condos in foreclosure—and unoccupied—that a fishing boat captain said the city looked like a luxury war zone. Today the canyons of downtown, South Beach, and route A1A are hot again as international buyers rush to acquire pied-à-terre in what has long been considered the gateway to Latin America. Across the city, home sales jumped by a record 46 percent last year, the Miami Association of Realtors reports. And median monthly rents are up by 30 percent from 2009, to $1.97 per square foot, according to Condo Vultures, a Miami real estate consulting firm. At least two dozen condo projects have been announced in the past 10 months, says Peter Zalewski, a principal at Condo Vultures. Latin Americans, Europeans, and Asians, who Zalewski says represent as much as 80 percent of new buyers in the area, are willing to plunk down deposits of more than three-quarters of the price. That article included this review of new beach condo prices in Latin America. 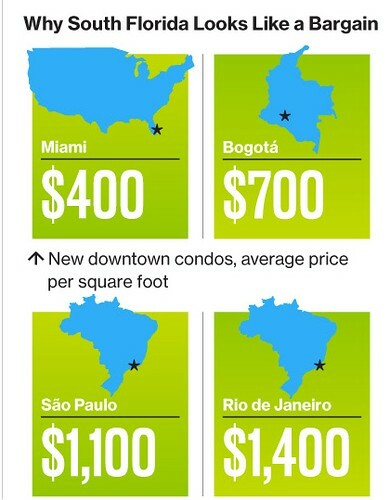 Based on these figures… the Ecuador coastal condo below is less than 1/6h Miami prices… about 1/9th Bogota prices… 1/15th Sao Paulo and 1/19th Rio prices. 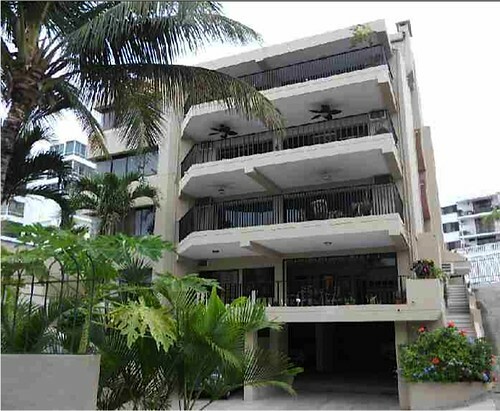 This Ecuador coastal condo has great patios and is offered at about $72 per square foot. 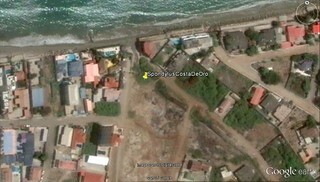 Jean Marie Butterlin head of the Ecuador Ateam on the coast sent this note about an Ecuador coastal condo near Salinas. Here is a nice deal! 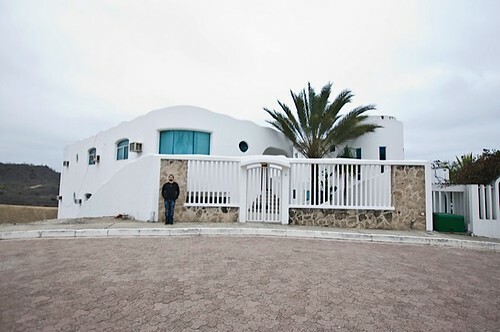 This is a house in a private residential community in Capaes, near Salinas. The house comprises two 2500 Square foot condos. Each condo has 5 beds, 5 baths, covered garage, large kitchen – full (fridge, stove, micro, etc), large laundry room with W/D, a large full suite for guard and help. Learn Spanish in Three Days! 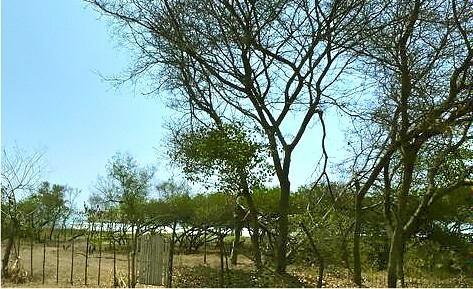 View looking south to Bahia de Caraquez. Playa Azul is a small complex of 14 condominiums for the discriminating buyer who is looking for a beautiful condo on a nice secluded beach. Our commitment is to provide people with the opportunity to sit by a beautiful infinity pool that will appear to flow right into the Pacific Ocean. Peace & quiet is what our condo projects are all about. 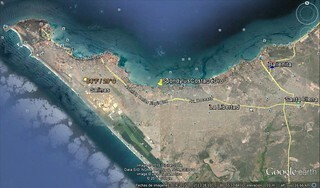 Playa Azul will feature 14 – 1000 Sq. Ft. 2 bedroom 2 bath condos overlooking the Pacific Ocean. 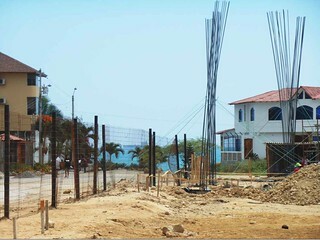 The complex will feature the same beautiful infinity pool that is being built at Playa Dorada. Beautiful infinity pool and condos that I am building now at Playa Dorada that will also be built at Playa Azul. 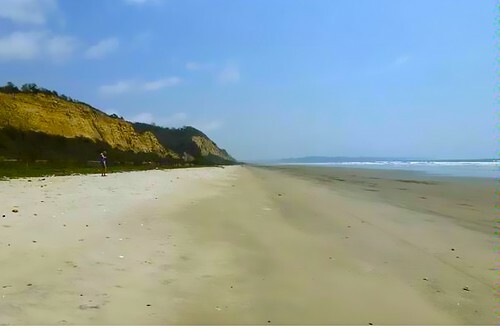 We have just purchased one of the finest pieces of ocean front property on the Pacific Coast Highway between Bahia and Canoa. We will have over 3000 Sq. Meters with 200 foot of ocean front to build 14 units all facing the ocean. Your living room, dining room, kitchen and master bedroom will all have an ocean view. Even the master bedroom shower will have a window that opens to the ocean. My first project Playa Dorada and Playa Azul are located just 15 minutes North of Bahia and just 5 minutes South of the popular tourist town of Canoa. We also have just received great news. We are getting a golf course in Bahia (another welcome addition to the growing infrastructural of our area). In the last 2 years we have seen ocean front property go from $25 per meter to $65 per meter and the demand is greater than ever. So we can not stress enough the importance of getting your spot on the beach before the prices are in line with Costa Rica and Panama. With ocean front prices rising so fast, it will be impossible to offer these condos again at this price. 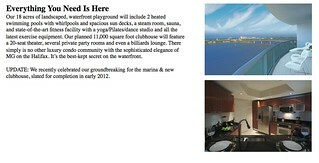 If you are serious about having a ocean front getaway or a beautiful retirement condo Now is the TIME!!! 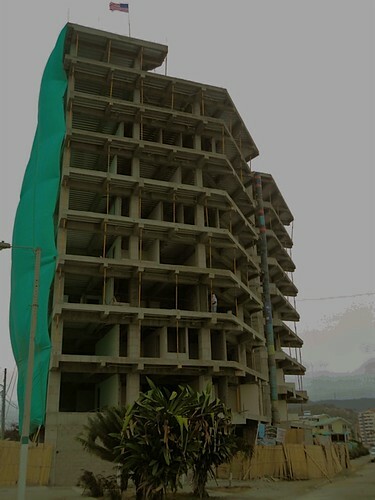 We are located 1 1/2 hours North of Manta Airport that will soon be getting International flights from the U.S. Also just 10 minutes from here is the San Vicente Airport that is under renovation and will be getting regular scheduled flights from Quito. They have extended the runway and are almost complete with the Arrival Departure building renovation. We are also getting a new Shopping Mall in Bahia that will be a very welcome addition to all who live here. Bahia’s growth had always been held back by the lack of a bridge across the Chone Estuary. 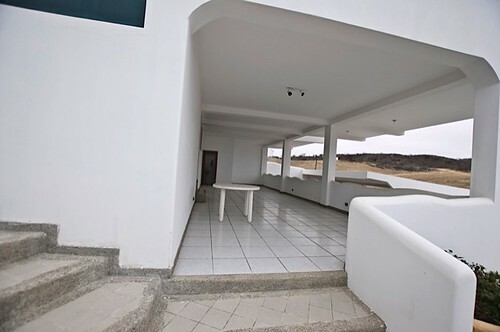 But now with the new longest bridge in Ecuador complete and the coastal highway now connecting Bahia with the North coast, we are now in one of the hottest real estate markets of Ecuador. 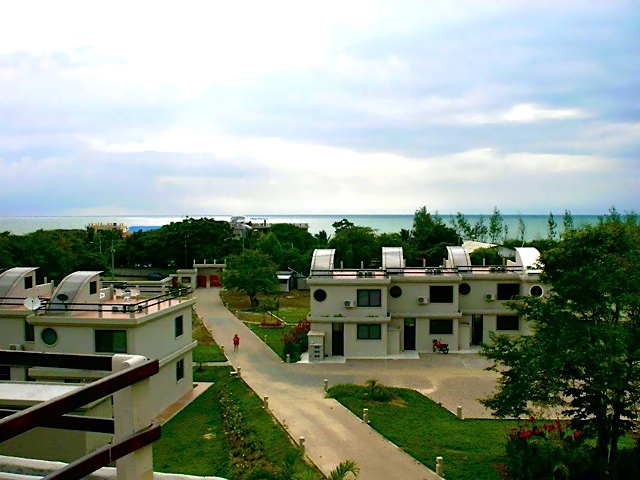 Also what makes our projects so inviting is the beautiful wide secluded beaches along with our small complexes of Condos. This gives everyone a peaceful place to relax without 100 or more owners sharing 1 pool. We are featuring handcrafted solid hardwood doors, windows, cabinets and closets built by one of the best carpenters on the coast of Ecuador. We are also featuring quality tiled floors and porcelain counter tops. At $95 per sq. 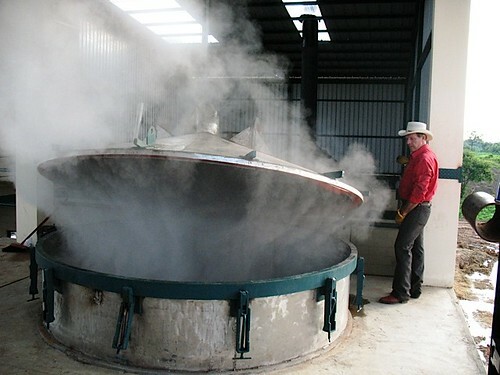 ft., you will be assured your investment is solid. We sold out Playa Dorada in 60 days and anticipate Playa Azul selling just as fast when everyone can see the quality, location, and security we have created at Playa Dorada. 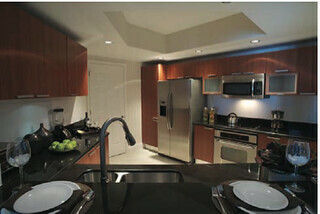 Everyone who bought a condo in our Playa Dorada project has already earned $20,000 equity in just 8 months. 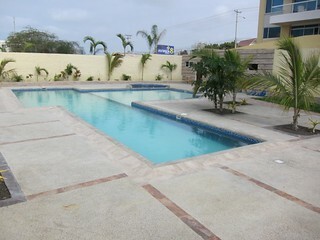 Beginning in December of this year we will have Playa Dorada 2 Bdrm 2 bath Condos ready to rent. 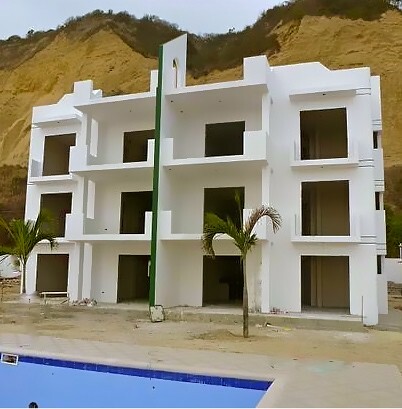 This will give you the chance to see our project and reserve your spot in the future for a Playa Azul Condominiums just a 10 minute walk north from Playa Dorada. 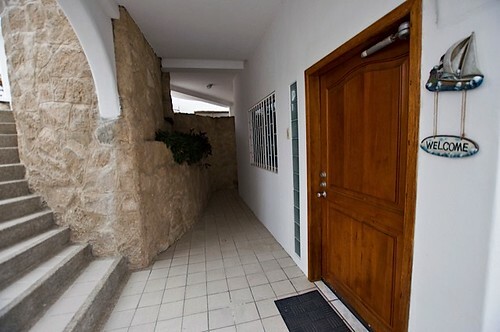 We can pick you up at the Manta Airport and provide you with a real estate tour so you will know the market and be confident that your investment at Playa Azul is the right choice. 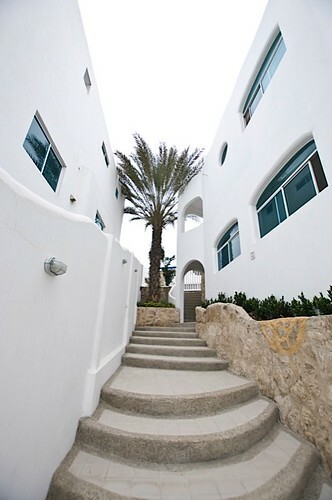 These condos can also be managed as vacation rentals if one chooses. We will have a web site that will feature open booking dates and the ability for people to reserve with Visa or Master card. The path between Ecuador’s capital, Quito , and the coastal city of Manta is nearing completion with a new 4 lane concrete highway. Here at our property the new four lane concrete highway with a bike lane from Canoa to San Vicente is nearly done. 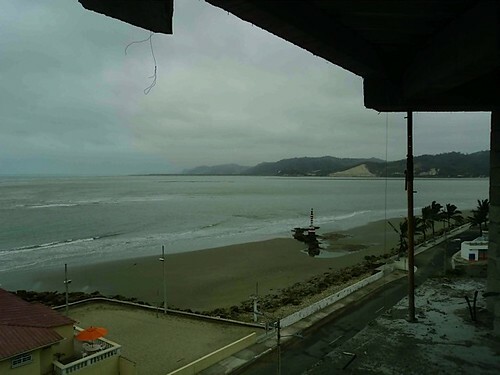 The bridge that will link Bahia De Caraquez and San Vicente is completed, and upgrades to Ecuador’s electrical systems are being done, along with a new fiber optic cable that will be activated soon. We have hi speed internet and direct TV that has all the U.S. channels. There are also over 240 channels from around the world with a one time installation fee of $220 and no monthly payments. The weather here from May to Jan. averages about 72 degrees with a slight overcast. Jan. to April runs 80 to 90. After living in the Caribbean with hot humid weather year round, I find the weather here on the coast to be one of Ecuador’s best features. So now it’s time to ask yourself. You can have the Pacific Ocean at your door step with miles of quiet beaches and a beautiful infinity pool. Here is some general info about myself and the area. I’m a custom home builder from Gold Beach, Oregon and moved here over 3 years ago to escape the poor economy. I have since married and work with my Ecuadorian wife, Elsa, making Playa Dorada and Playa Azul a little piece of paradise. I have always built high quality custom beach homes and will never cut corners to pad my wallet. 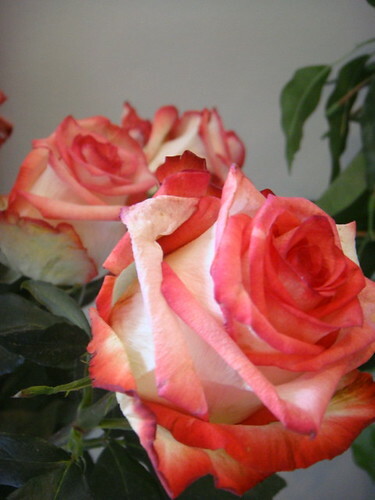 It is more important for us to offer a good price and have new found friends and neighbors. I do not use realtors and I pass that savings on to my buyers, we have an excellent lawyer here in San Vicente that gives us all a very fair price on closing costs and you can trust that what I have to offer is what you will receive. See the newest condos being built in Canoa by Brent Carlson click here. Here are four Bahia beach condos for sale. 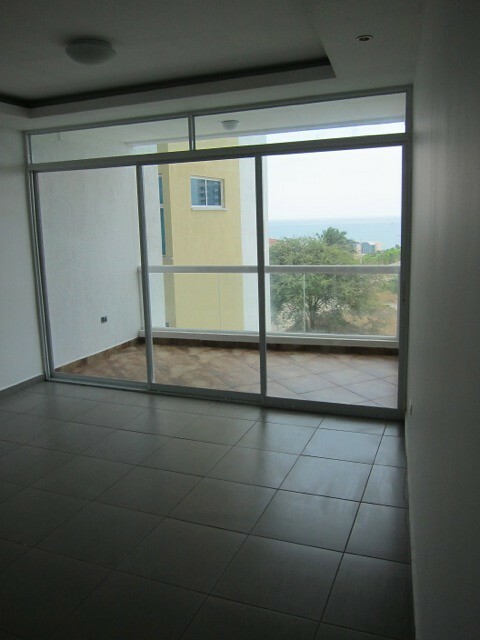 These four condos are left in the nicest building on the Ecuadorian coast in Bahia de Caraquez and there is a very special deal for EL subscribers and Ecuador real estate tour clients. 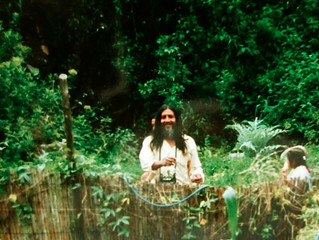 The head of Ateam Ecuador, Jean Marie Butterlin, lives in Bahia and sent this note. 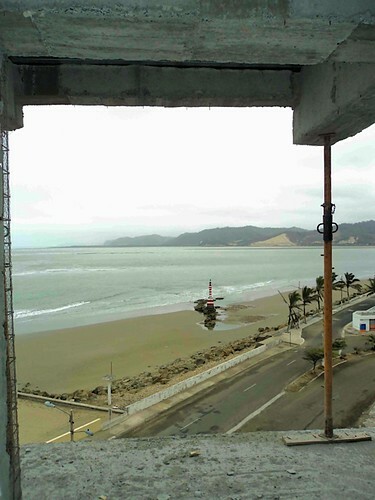 There are four condos left in the first apartment building to be built in Bahia for 15 years. 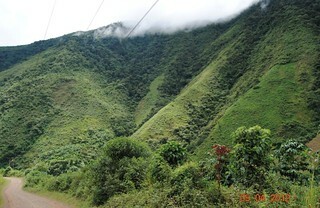 They are scheduled to be finished in December 2011. Our tour clients who bought early at pre-construction prices are already enjoying a 20% rise in the value of their property from a year ago. There are five of our delegates who have already purchased units here. 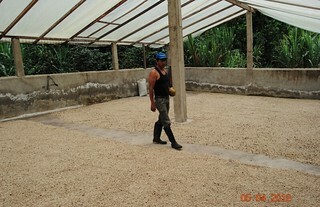 Many Ecuadorians also have units which is a good sign that the price is right as the locals know best the market price. I always like to go to the restaurants where I see a lot of locals. The same is true when buying real estate. I look where the affluent locals are buying property. Here is a picture of the building taken on Oct 10th. Here is the view from the unit I purchased on the 5th floor. The building is situated on the Malecon at the very end of the Bahia peninsula, with views on the ocean, the bay, the bridge and the city. There are only 4 units left ranging from a 2 bedroom 967 sq.ft 2nd floor priced at $80,522 to a 5 bedroom 4th floor 2,690 sq.ft priced at $256,120. 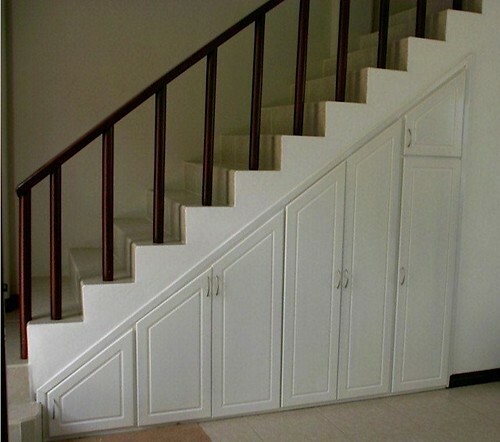 The 2d floor apartment is priced at $83.26 per square foot. This is 2.5 times cheaper than any new construction building that I know being sold right now in South America on a sea front/malecon. On the Columbian coast, for example, prices are running at well over $200/sq.ft and in Brazil around $650 to $800/sq.ft. 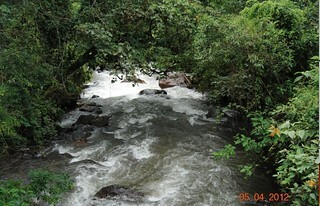 An additional 4% discount is also available if a 90% down payment is made at time of purchase. – outside glass elevator facing the ocean. 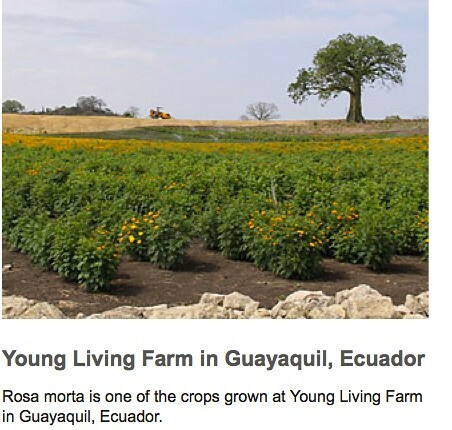 Ecuador Living Club members can obtain the $10,000 discount and full details at their password protected site by clicking here.